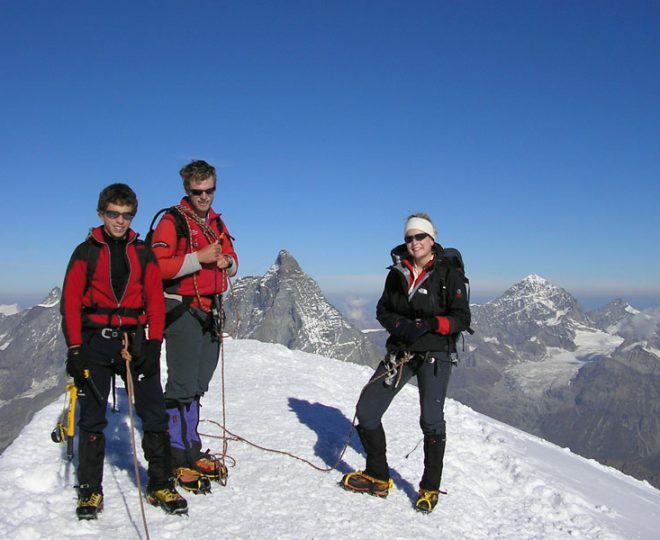 Our aim is for you to complete the famous Haute Route ski tour connecting Chamonix and Zermatt. 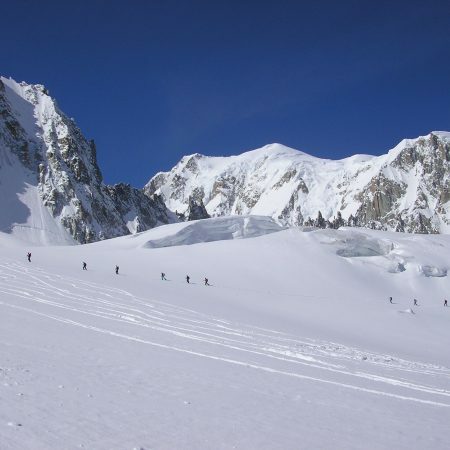 This is high mountain ski touring par excellence – with fantastic scenery, technical climbs and long descents all combined into one of the finest mountain journeys anywhere in the world. 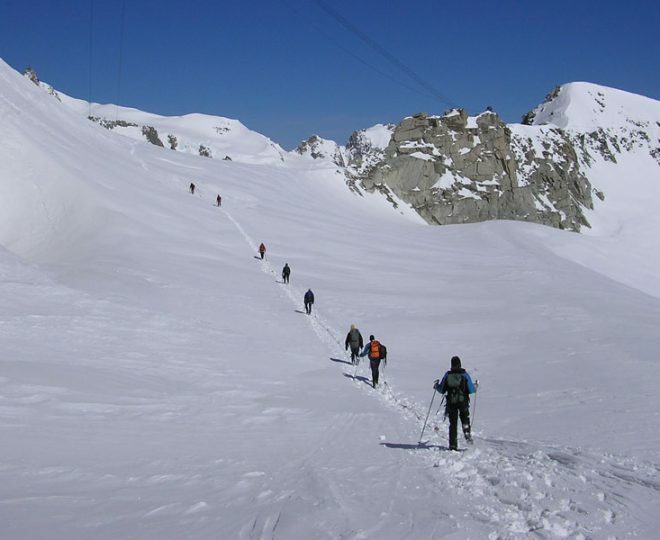 Skiing the Haute Route is a popular classic involving lots of big glacial scenery, and an amazing journey between two famous mountain centres in the Alps – Chamonix & Zermatt. 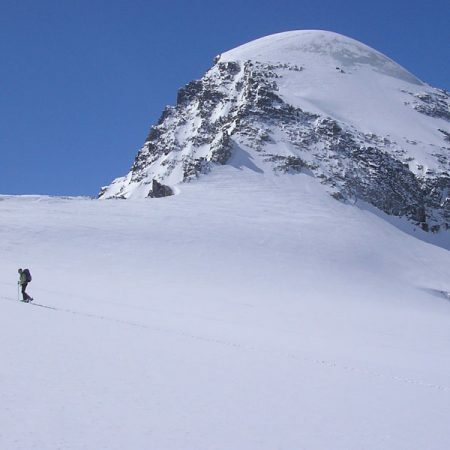 Like most high altitude ski tours, reasonable weather conditions are required on critical sections of the route in order to complete the tour. 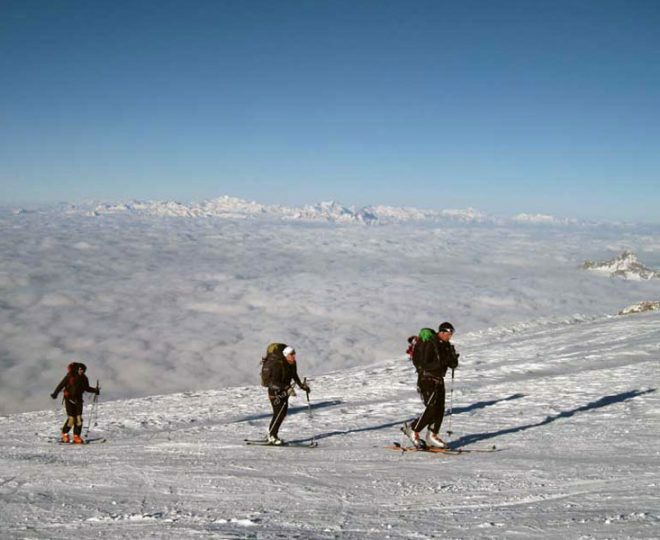 This popular classic ski tour involves the ascent of a 4000m peak, some lovely scenery and good quality ski descents. 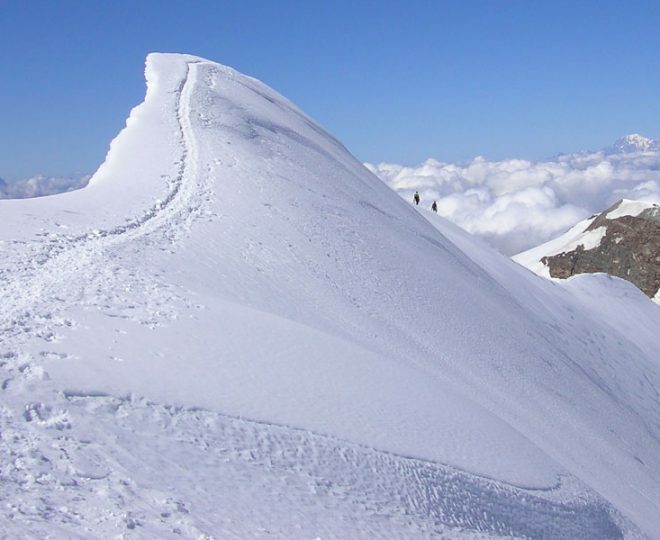 This is a classic high altitude ski tour that involves the ascent of several 4000m summits. 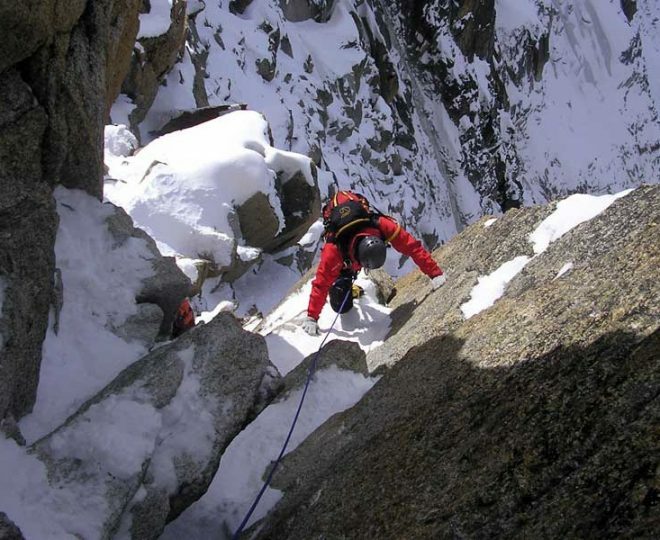 Good levels of fitness are required, as well as the ability to acclimatise quickly. 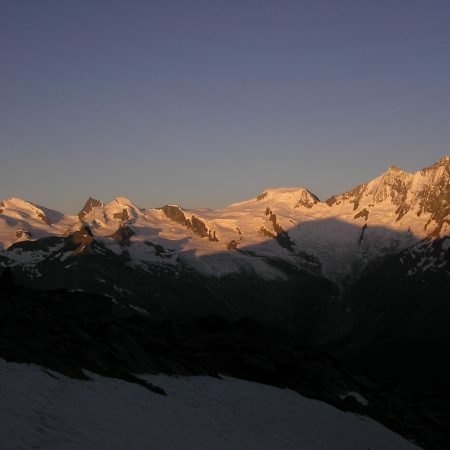 Some nights are spent in the valley and some up in huts. 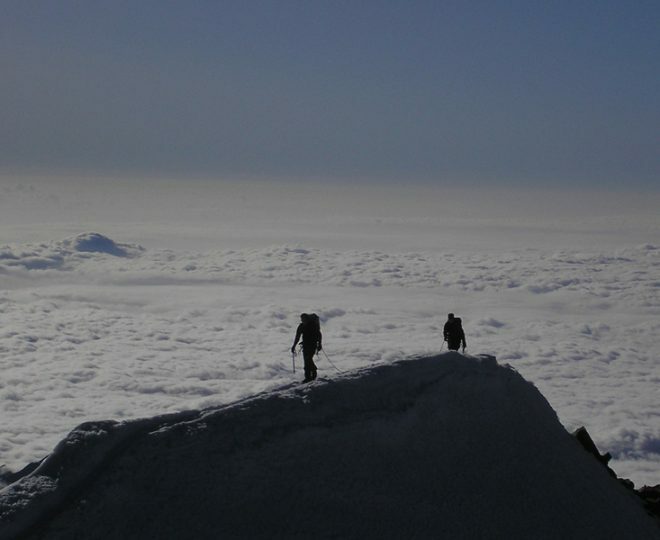 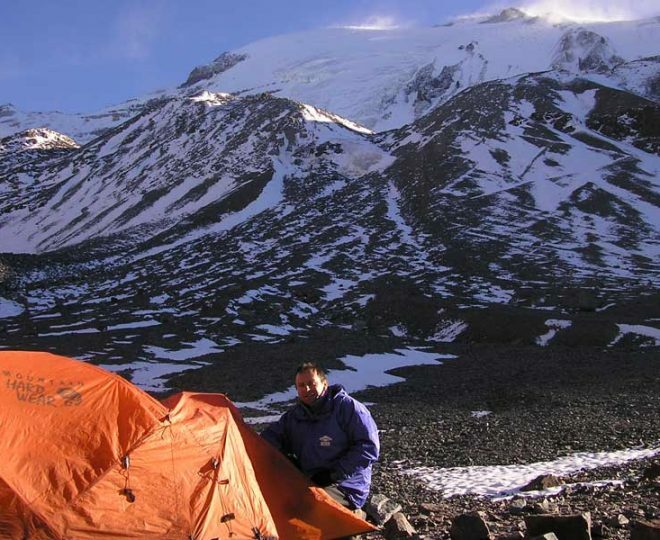 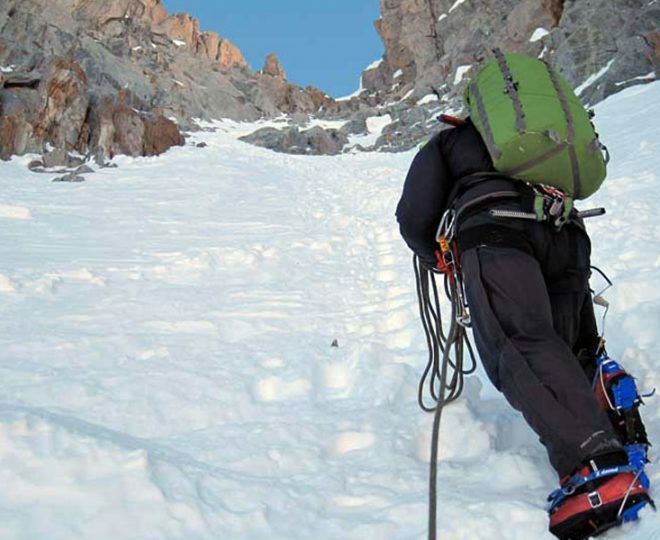 Stable weather and snow conditions are required to complete the full itinerary, though some of the peaks can be climbed in most conditions.